I recently picked up Kiko Radiant Baked Blush in 02 About A Coral and have been enjoying wearing it so much. 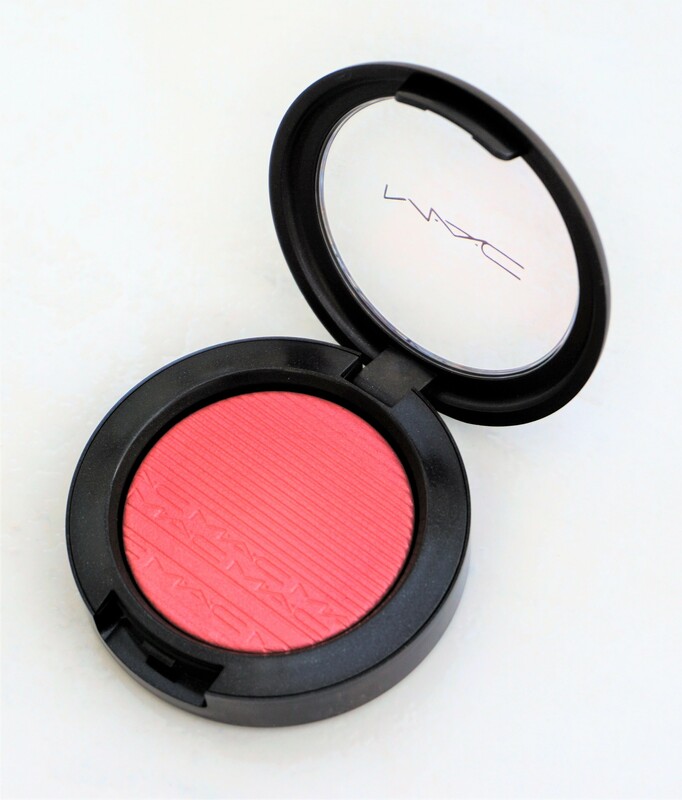 This blusher gives such a radiant, natural flush to the cheeks and the lighter swirls add a subtle burst of luminosity. I think this blusher is so pretty for everyday and one that works well with a range of looks, from neutral, colourful and super smokey. 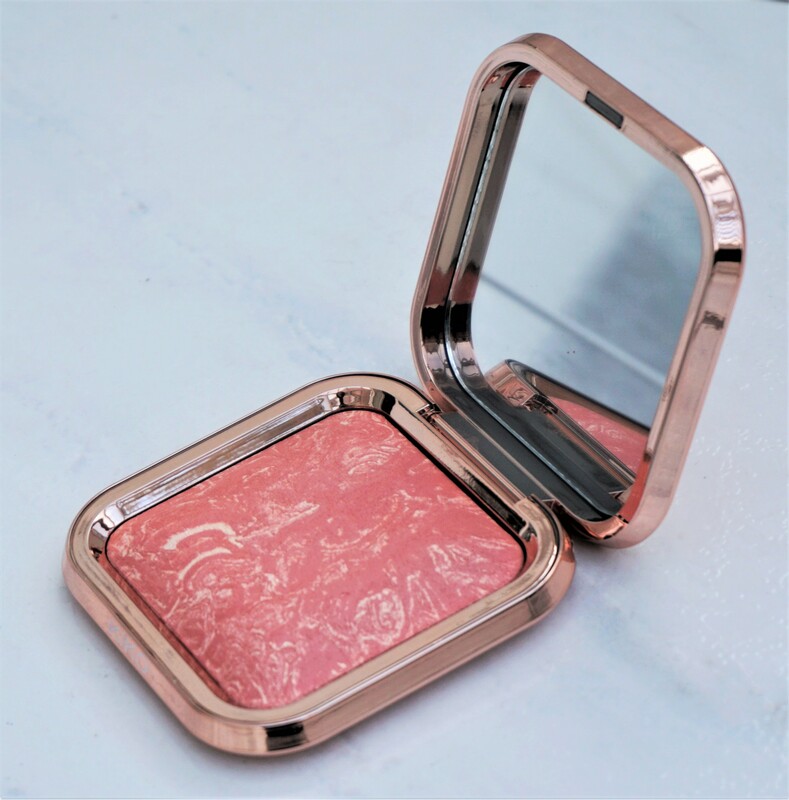 I also think the Kiko Radiant Baked Blush is a great dupe for the Hourglass Ambient Lighting Blushers, as there are some similarities in terms of finish, glow and the overall look both products give to the cheeks. Interested in reading about other Kiko products? You can read my other articles, see photos and view swatches of Kiko products on the site here. 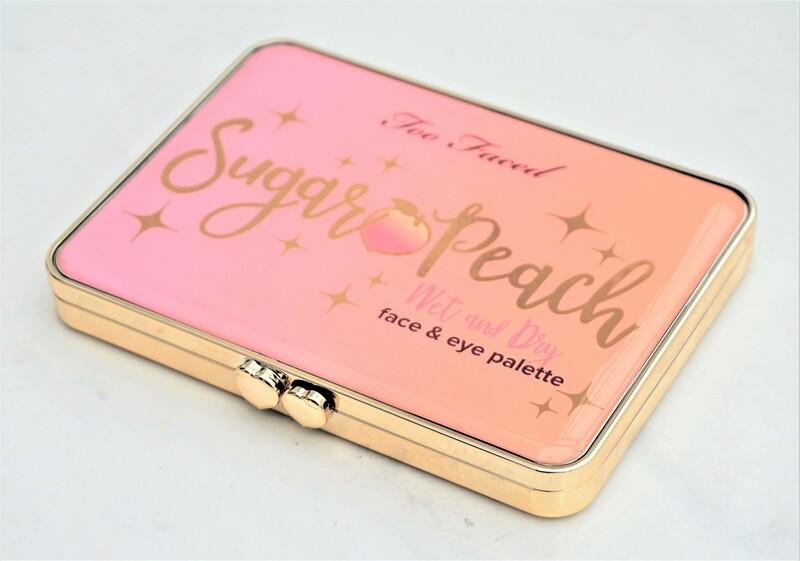 Last week, I was browsing in Debenhams and picked up the Too Faced Sugar Peach Wet and Dry Face & Eye Palette. The palette didn’t really stand out to me online but in person, it looked so beautiful! I’ve been playing around with it and think it is amazing! I love the versatility, scent and glowy, wide-awake look that this palette gives to the eyes, cheeks and face. The palette also looks – and feels – so luxurious, special and classy, making it a real treat to use. I think that the Too Faced Sugar Sweet Palette is definitely worth a look if you want a daily palette to make your whole face quickly appear brighter, glowy and healthy! 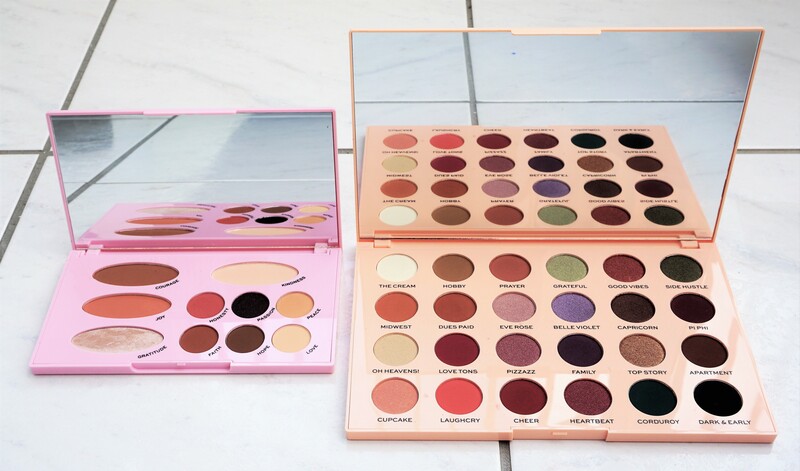 I mentioned in my recent ‘sneak peek’ post (you can see the post here) that one of my favourite YouTubers, EmilyNoel83, has launched two palettes, in collaboration with MakeupRevolution. The two palettes – The Wants and The Needs – are amazing and I have really been enjoying playing with them. Today’s post features ‘The Needs’, an ‘all-in-one’ palette which contains everyday essentials for quick and easy make-up. I think this palette ticks all the boxes for anyone who wants to streamline their make-up application, have everything to hand in one place or have a travel friendly option. The design of the palette, along with the enclosed products, make every day make-up so much easier – and quicker – to navigate. Whether you are a fan of Emily or just someone who wants to make their make-up process more seamless, I think this product is amazing! It’s also at a great price point – £10 – so it’s a great way to try out a variety of different products! You can read my post on The Wants Palette here. I’m a long-time viewer of EmilyNoel83 on YouTube and recently saw her video announcing the launch of her two palettes, in collaboration with Makeup Revolution. You can see the launch video on her YouTube page here and a shorter video on the Makeup Revolution YouTube page here. I have tried – and loved – many products that EmilyNoel83 has recommended in her videos and so I was incredibly excited to try out the two palettes she has created. The two palettes – The Needs and The Wants – are just fantastic and I am enjoying playing with them so much! The Needs Palette contains Emily’s greatest hits from her favourite Makeup Revolution palettes and focuses on everyday essentials for the face and eyes. You can read my post, along with photos and swatches on The Needs Palette here. The Wants palette contains 24 eyeshadows in various tones and is designed to inspire you, whilst also keeping you in your comfort zone. You can read my post, along with photos and swatches on The Wants Palette here. I thought I would kick-start the new ‘Timeless Favourites’ series (you can read more about the series here) with The Balm Mary-Lou Manizer. 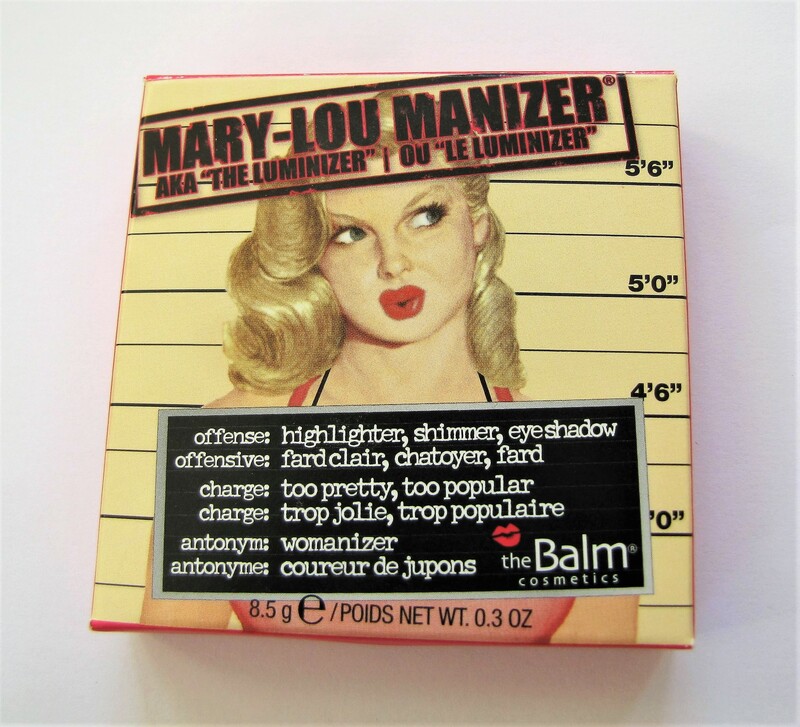 Mary-Lou Manizer used to be regularly featured on YouTube and on make-up blogs as a favourite of many make-up lovers. I wrote a post on this product back in 2016 and thought it would be fun to re-visit the product, as it is still in my collection. I’m so glad I tried out this product again as it has become one of my favourite highlighters all over again! 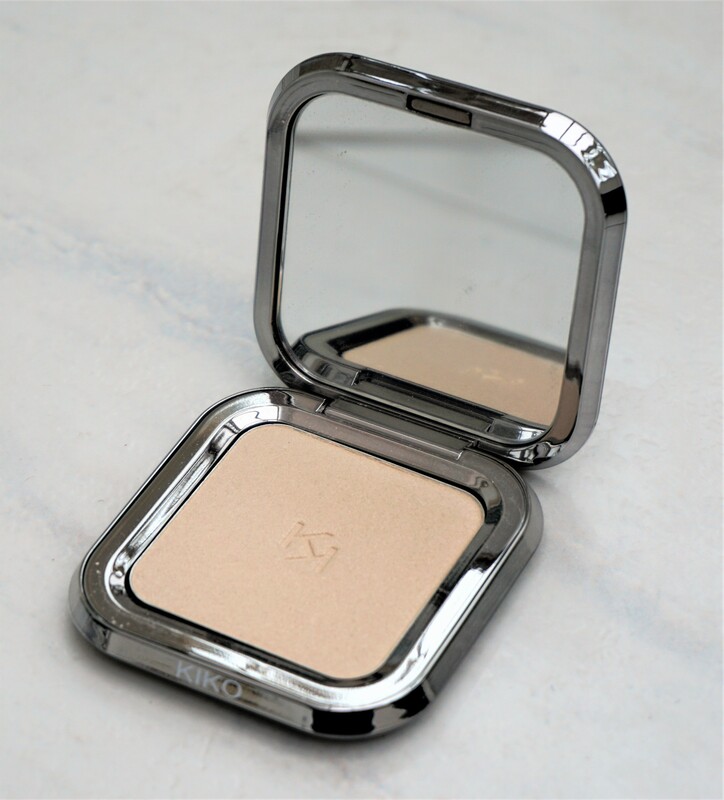 Mary-Lou Manizer is a pale, champagne-gold powder highlighter which can be used to add radiance to the face, cheeks and eyes. I think it is perfectly suited to obtaining the strobing effect which is so popular right now. Last month, I visited the Livingston Designer Retail Outlet and picked up some goodies from ‘Cosmetic Company Store’. If you live in the USA, you may have seen The Cosmetic Company Stores. The CCS sells premium make-up at reduced prices from brands and now has outlets across the UK. The CCS sells premium make-up at reduced prices from brands within the Estee Lauder group (including MAC, Clinique, Bobbi Brown, Smashbox and Tom Ford, to name but a few). The products are genuine and there is nothing wrong with them. They tend to be those from limited edition ranges, surplus stock from existing ranges and shades which are being phased out by the make-up brands. I recently found and purchased the NYX Sweet Cheeks Blush Palette from B&M for only £5.99, with a usual RRP of £17.99. I’ve always looked at this particular powder blusher palette in Boots and so it was fantastic being able to get it at a fraction of the price! 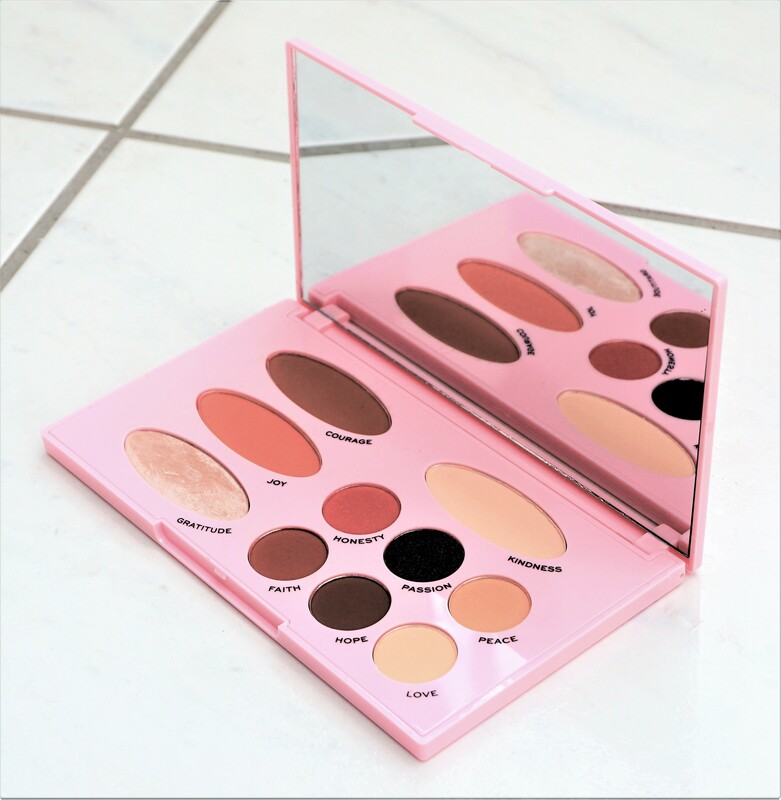 The palette contains a wide range of shades, so it’s a fantastic choice for anyone looking to try out a range of different colours, for travelling or if you are just starting out in make-up. Stay tuned for a post on the NYX Plush Gel Lipsticks! I found a triple pack of Plush Gel Lipsticks for only £6.99 in Watt Brothers, which is the usual RRP price for just one lipstick! 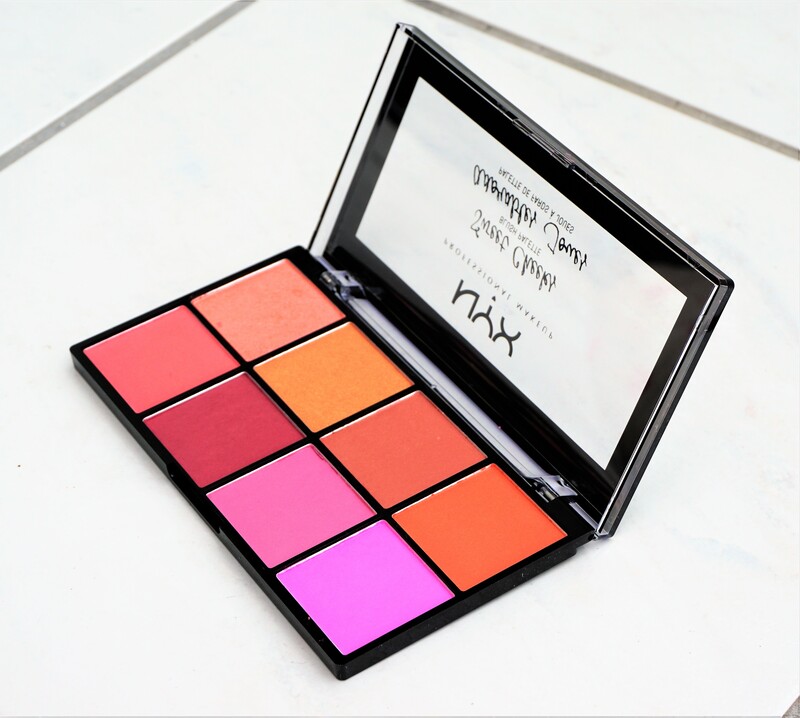 You can find more posts on the site featuring NYX make-up here. You can also search for make-up posts on the site featuring various brands under ‘Faves, Hauls & Brands’/’Brands’ on the site menu bar. I recently read on FYI Beauty that Boots is now selling IT Cosmetics and so thought it was time for an IT Cosmetics post! QVCUK was the first company to launch IT Cosmetics in the UK and last year, I snapped up one of the sets containing the IT Cosmetics CC Creme Blush and the No 20 Heavenly Luxe Airbrush Blush Brush. 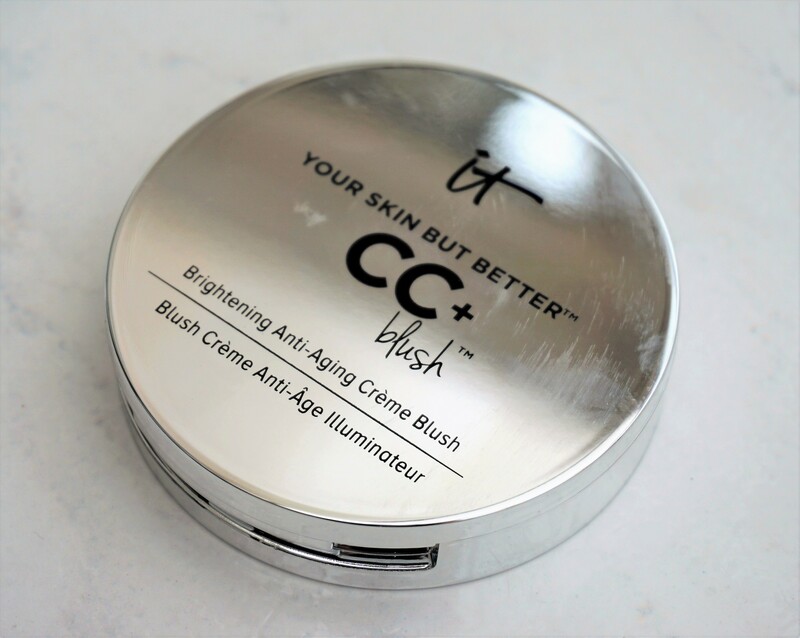 The CC Blush in Je Ne Sais Quoi is one of my favourite products for when I want to make my face look really fresh and healthy with minimal effort. It is also wonderful in summertime on days when you want just the lightest hint of make-up. 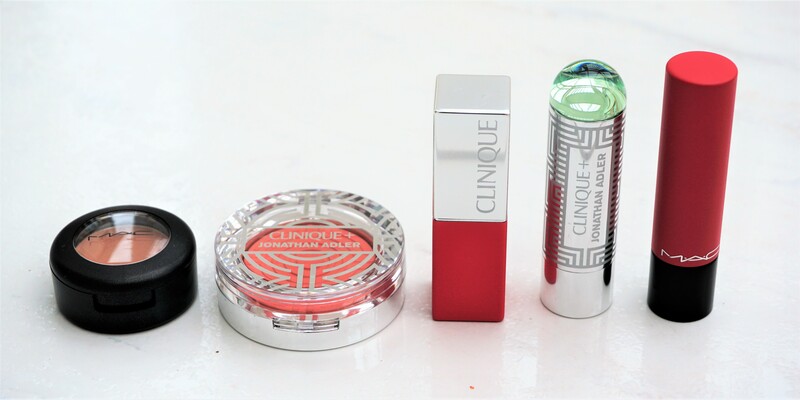 Interested in reading about more IT Cosmetics products? You can read my other posts on IT Cosmetics products here. You can also search under Faves, Hauls & Brands/Brands on the menu bar to read about IT Cosmetics or other brands featured on the site. The ‘Extra Dimension’ line is one of my favourites from MAC and so I was very excited when they introduced Extra Dimension blushers, skin finishes and eyeshadows to their permanent range. I found it very hard to choose what products to get as they were so beautiful but I managed to narrow it down to one blusher (featured here) and one skin finish (Beaming Blush). Interested in reading more about MAC products or getting ideas for MAC combinations? You might enjoy my ‘Spotlight on MAC’ series (click here to read more). You can also get ideas for combinations using MAC eyeshadows here. A couple of weeks ago, I posted a sneak peek of products I picked up from a recent trip to Kiko (click here to see the post). As part of the ‘Metal Fusion’ collection, there are powder highlighters which are also available in the permanent Kiko range. I already have the Glow Fusion Powder Highlighter in 01 Champagne, which was included in the ‘Metal Fusion’ collection. This highlighter gives such a beautiful, natural glow to the face that I think it is well worth a post!